Sea otters are some of the most intriguing animals located in the North Pacific. One of the smallest marine mammals, they are also the only creatures who do not depend on blubber to keep themselves warm in the icy waters. Their fur is the densest in the entire animal kingdom, the density of hairs number about 150,000 per square centimeter (nearly one million per sq inch). Their survival in the cold waters depends entirely on impeccable grooming in order to maintain the water resistant coat on their fur. Their fur is essential to their survival as they spend their entire lives on water. They mate, rear young, hunt and forage at sea. Their culinary tastes are some of the finest in the Alaska, preferring crabs, clams, urchins and mussels. At first glance these animals look adorable and cuddly, but don’t be fooled, these cute creatures are aptly nicknamed chainsaws with fur. 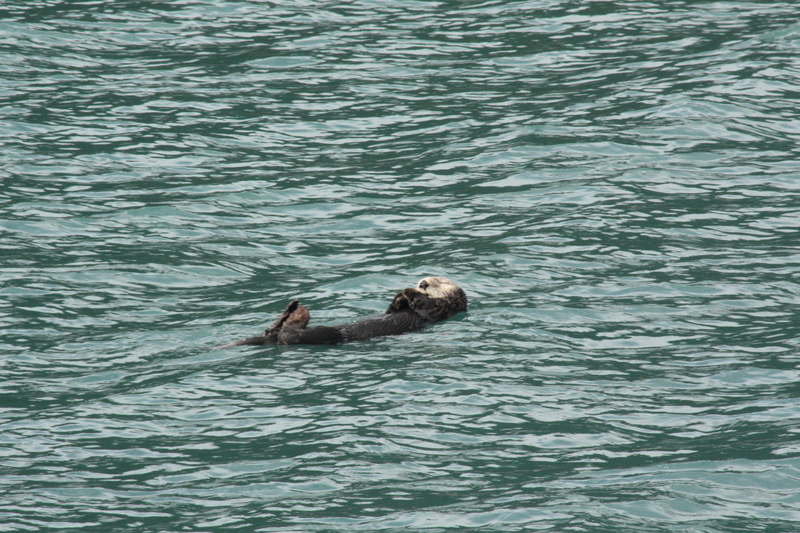 This entry was posted in Alaska, Wildlife and tagged fur, mammal, sea otter. Bookmark the permalink.